500pc cotter pin assortment from Toolzone Tools. Sometimes referred to as split pins. 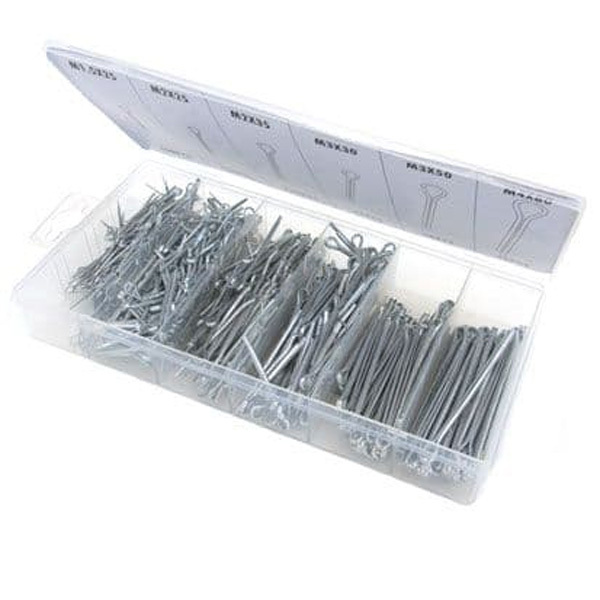 This assortment pack contains 6 popular metric sizes of cotter pins. Complete with a robust plastic storage case.